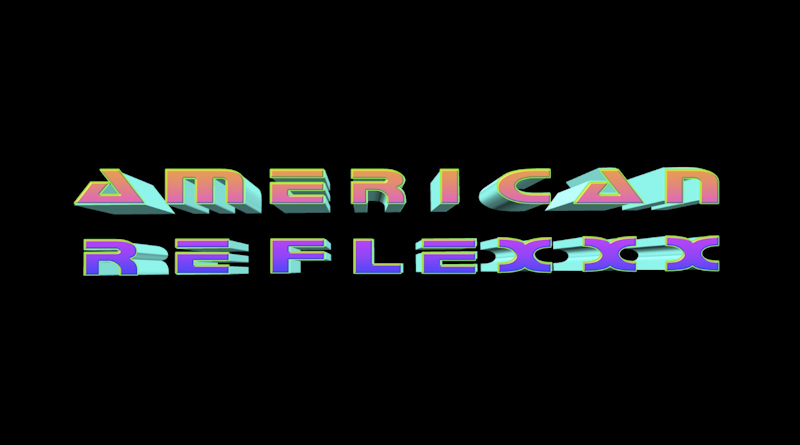 Rhizome | Blog Posts tagged "American Reflexxx"
Alexis Anais Avedisian | Wed Aug 19th, 2015 10 a.m.
Two years ago, performance artist Signe Pierce and videographer Alli Coates staged a public intervention on the Myrtle Beach strip in South Carolina, a popular tourist spot. Concealing her face with a featureless mirrored mask, Pierce wore a tight blue mini dress and performed exaggerated, gyrating movements while walking through the streets at night through throngs of revelers. Coates did not intervene, instead passively recording the ensuing scene even as the safety of her partner was threatened. Earlier this year, the artists released a 14-minute "chopped and screwed" edit of the video on YouTube to an outpouring of public reaction. In the following conversation, Pierce discusses the work with writer and artist Alexis Anais Avedisian, Rhizome's spring Editorial Fellow. I want to commend you for making a brave work that construes many related topics within current cyberfeminist discourses. To start, I felt your mirrored mask brought up parallels to privacy, in the sense that cultivated, crafted, and projected representations of the self are now rendered as trackable, malleable, and intended for public consumption. Feeling surveilled often intensifies our instinct to hide, yet every day we surrender our privacy to greater social, political, and economic forces. Identity concealment poses a threatening question: is someone anonymous, possibly preconceived to be inauthentic, worthy of privacy? By putting on the mask, and claiming privacy through self-concealment, did your difference make you "less than human" in the eyes of the mob? As the “mob mentality” and its panic about your identity infringed upon your human rights, do you think that their fear was subconsciously related to a broader desire to be accessible and exposed on social media?